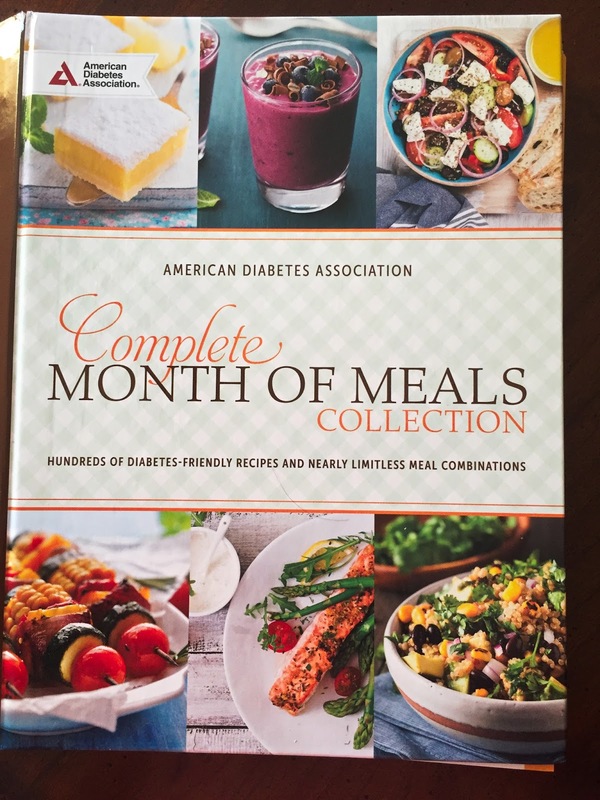 Back in its beloved classic format, The Complete Month of Meals Collection is the ultimate cookbook and nutrition guide for people with diabetes, containing hundreds of recipes and meal planning tips from the American Diabetes Association's bestselling series of Month of Meals meal planners. 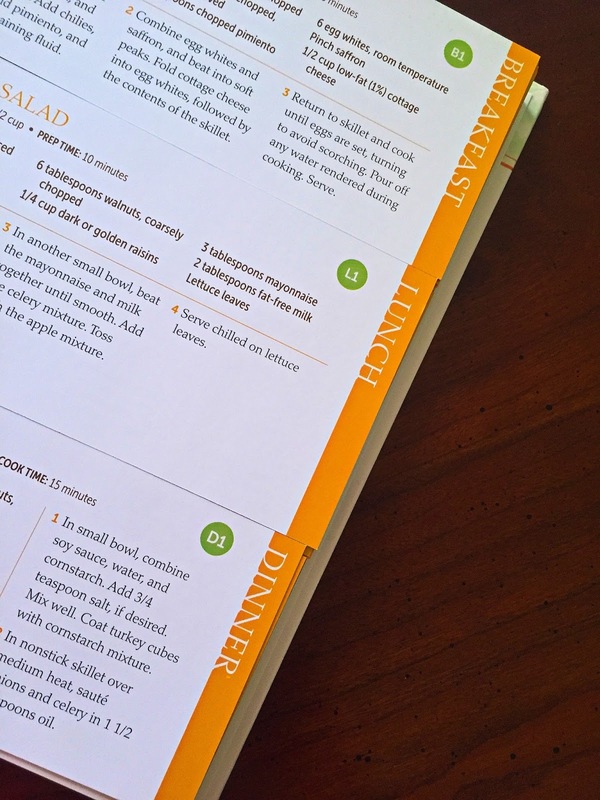 Using a unique, three-part split-page design, this interactive book allows readers to create meal plans instantly. 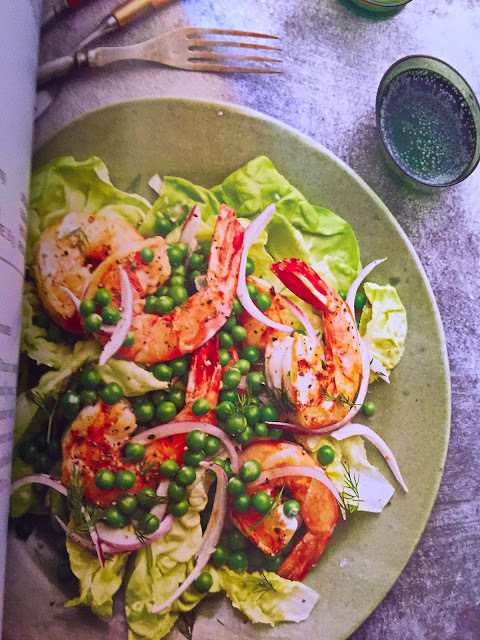 With bonus chapters on salads, sides, drinks, and desserts, the meal combinations are nearly limitless, helping you plan meals that fit your needs. 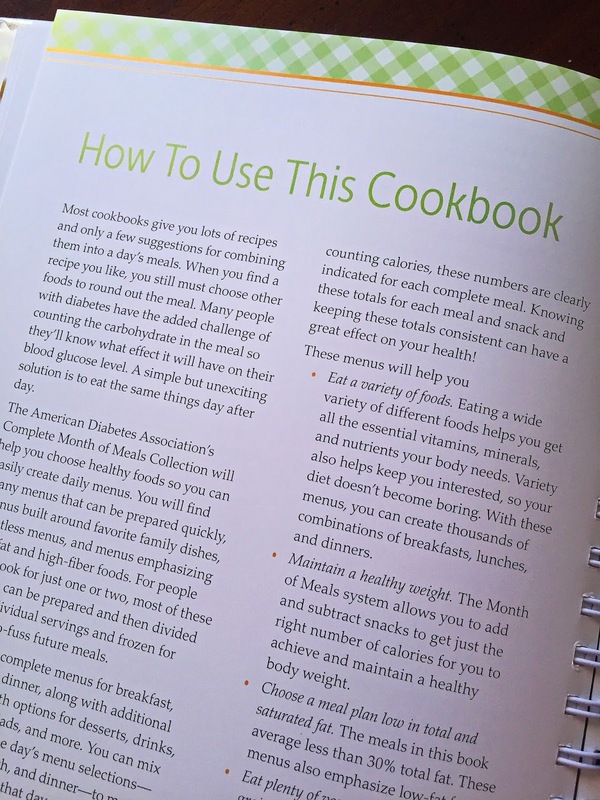 This is such a great concept. 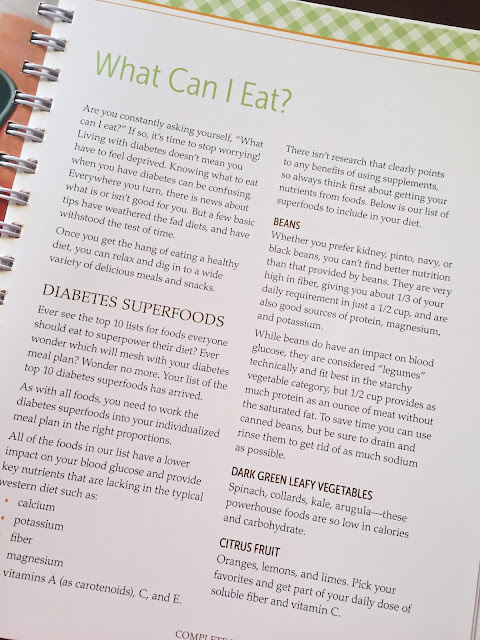 The book offers great tips for meal planning whether you have Diabetes or not however as someone who knows how hard it is for those living with Diabetes, this is exactly what they need to make meal planning easy for you and the whole family. 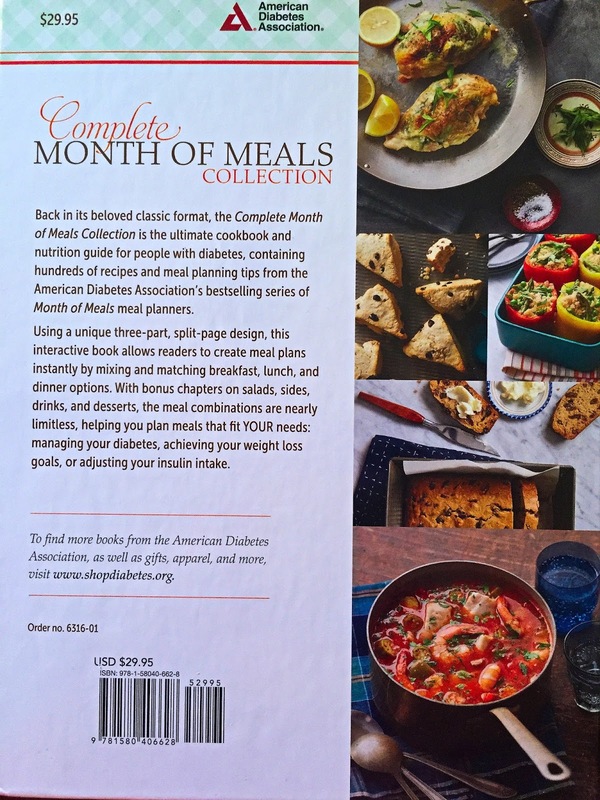 There are so many easy to make recipes for breakfast, lunch and dinner and you can mix and match easily by flipping a page for each meal. Breakfast, lunch and dinner are each on their own little page like a recipe card and by simply flipping the page you can create the perfect meal depending on your personal preference, dietary needs or supplies.